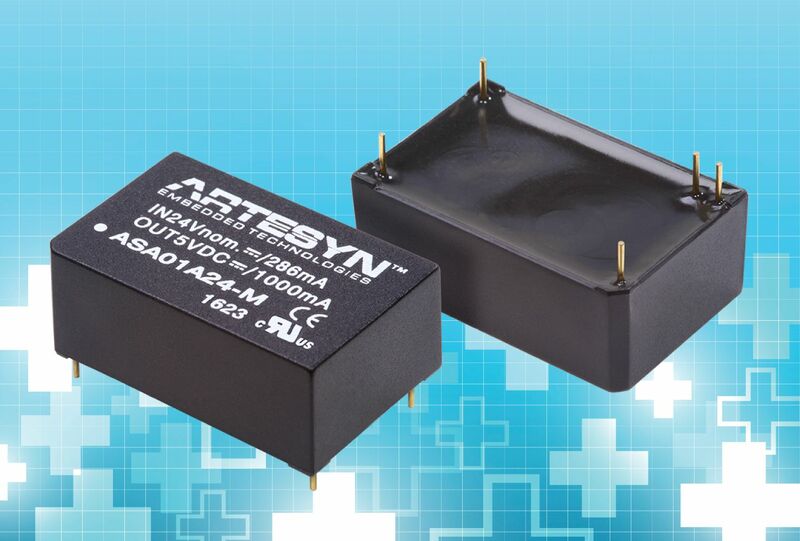 Tempe, Ariz. [21 July, 2016] — Artesyn Embedded Technologies today announced the new ASA 6W-M Series of six watt dc-dc converters that provides OEMs with a cost-effective solution for applications in industrial and medical instrumentation requiring a certified compliance with the stringent industrial or medical safety standards. The series provides a reinforced insulation system of 4000 Vac, insulation resistance of 10 Gohm, is rated for 2X means of operator protection (MOOP) and has medical safety certification to UL/cUL/EN/ IEC 60601-1 3rd Edition. This highly reliable product family has a calculated MTBF of one million hours. Encapsulated in a compact 31.8 x 20.3 mm (1.25 x 0.8 inch) industry-standard package, the ASA 6W-M series offers up to 80 percent efficiency and covers a wide input voltage range; nominally 12 V, 24 V or 48 V (9 - 18 Vdc; 18 - 36 Vdc; 36 - 75 Vdc) available in single or dual output variants. 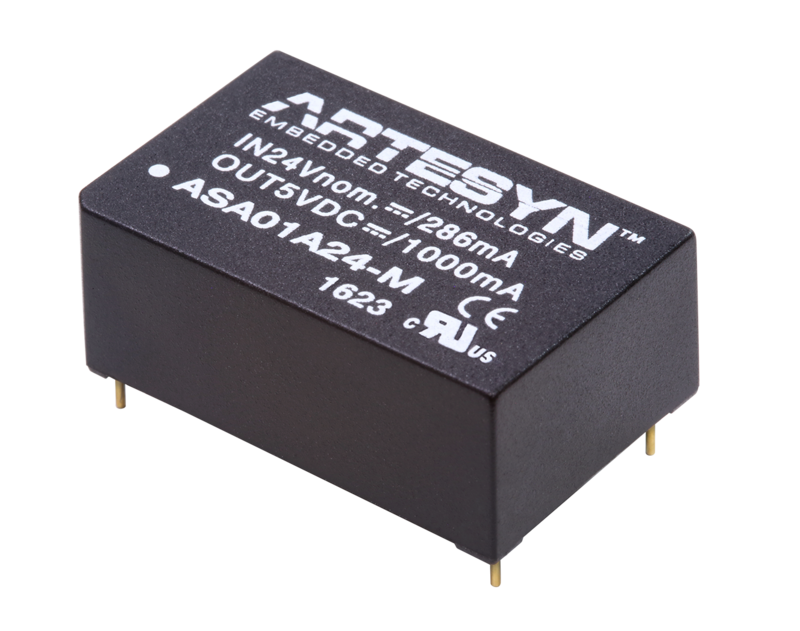 Artesyn’s ASA 6W-M Series consists of 5 V and 12 V single output models together with +12/-12 and +15/-15 V dual output models. These dc-dc modules can operate from minus 40 degrees Celsius up to 75 degrees Celsius with full power available to 55 degrees Celsius and power derating at higher temperatures. They offer additional features such as the low leakage current required in medical applications, protection from overvoltage, and EMI characteristics that can meet EN 55022, class A and FCC level A. These compact converters feature overload protection, are RoHS compliant and are shipped with a three-year product warranty.